This is a big moment in Swole Ear history. This post will be something that my millions of readers will surely remember forever, and undoubtedly tell their grandchildren about. Today is the day that I post a second album by an artist that I’ve already covered in this blog. This is big. I spent last night tossing and turning, unable to fall asleep, as I was still debating whether this was proper for Swole Ear or not. Ultimately, I decided for it, and the result is what you are currently reading. 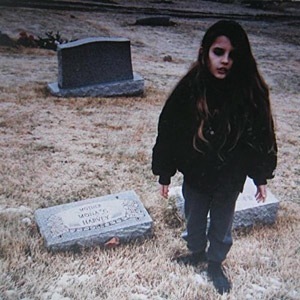 I liked bits and pieces of Crystal Castles’ first full-length album, as I stated in that particular post. Its biggest problem was that it had no flow whatsoever. That record was essentially cut and pasted together, using a bunch of CC songs that had already been released. I predicted that this second album would work better as a whole, because it was recorded with the fact that it would be an album in mind. I was right. On my last CC review, I said that I was a bigger fan of their remixes than their original tracks. Well, with this release, they proved that they are more than capable of making great, original music. There are fewer samples, and no remixes this time around, but this album packs an even bigger punch than its predecessor. Songs like Suffocation and Vietnam really impressed me. These two standouts bring CC’s special brand of harsh dance music to whole new levels of catchiness, and will definitely enter my regular listening rotation. As with the last album, I have a problem with the length. Ultimately, CC still makes dance music, and dance music is hard to sit and listen to for long periods of time. This record clocks in at 53 minutes, and definitely starts to wear by the end. I’m being pretty nitpicky, though. Crystal Castles is great, and definitely a step up from Crystal Castles.